The following is a post by Emily McIntyre, professional badass (no, seriously, look at her website!) 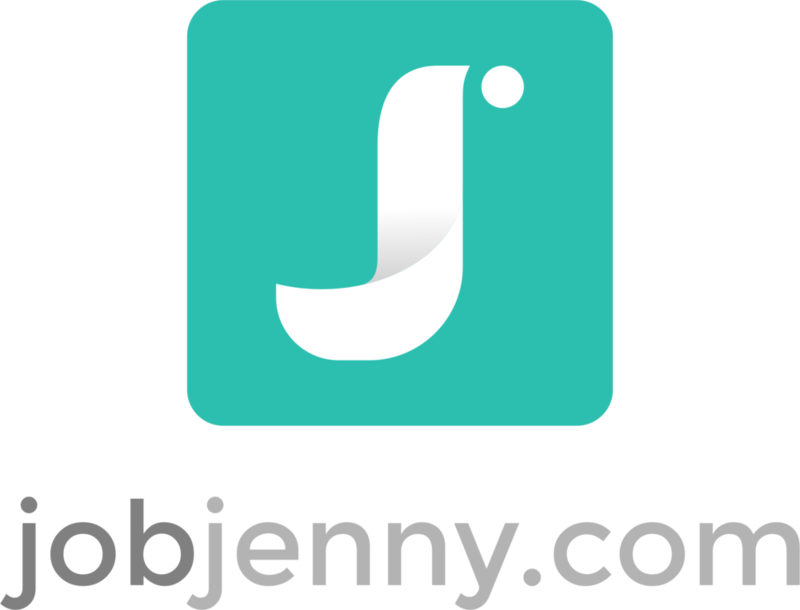 and a fantastic new addition to the JobJenny.com blog. Are you feeling a wee bit terrified as you navigate job search? Transitions are scary enough by themselves. Add in the self-doubt that can strike at the worst moment, the need to hustle and appear confident (no matter how you really feel), and the looming specter of your dwindling bank account and you have the perfect storm. Tammi Brown, owner of Wag Wagon Pet Services in Portsmouth, NH, remembers the day she walked into the non-profit where she had worked for years, only to be informed her position had been eliminated. At the time, she didn’t even have a LinkedIn account due to sensitive client work, and had never been unemployed. She had no idea what her first (or next) moves should be. The truth is that, even if you’re organized and proactive about finding your next job, some parts of the job search will still be out of your control. Great prospects take time to fully explore. A resume re-write takes a while. A career pivot doesn’t happen overnight. Fine, you accept that: everything worth doing takes time. That said, your mortgage won’t stop coming due just because you’re out of a job or underemployed. And what about the car payment, Netflix, groceries and Girl Scout Cookies? While you job search, is your anxiety building? Worrying about making ends meet? Feeling out of control—of your finances, your career, your life? If this sounds like you, why not consider a quick cash gig to keep you afloat (and sane) while you navigate he process? Tammi found herself spending lots of time with her beloved dogs the week after she lost her job, taking them for glorious windy runs on the beach near her New England home between scouring boards for jobs and enlisting team JobJenny.com to help her construct her first LinkedIn profile. It was these very breaks that led to new inspiration. “When I saw just how happy my dogs were, and how unstressed they were at the end of the day after a great romp, I started to think there might be an alternative to the traditional doggie daycare environment, which doesn’t work for all dogs.” She started asking other dog owners in town what they thought, and suddenly had clients. Just like that, she started a new business. Seven years later, it’s still going strong. Tammi is an example of how, with a little creativity and some research, you can take control of your career through even the toughest times. And, even if you don’t launch an entirely new career like Tammi did, there are all sorts of ways for you to make quick cash to support you as you get out of a role you don’t enjoy or navigate your way back from a layoff. Mine your life for moneymaking ideas. Many folks don’t notice the obvious when it comes to making money quickly. What are you good at? Does your job as a project manager require you to track details and stay organized? You might be an excellent virtual assistant. Do you have graphic design or other creative capabilities? All sorts of small businesses or startups need help with these tasks on an ad hoc basis, and have no idea where to turn. You might find them advertised on sites like Craigslist, or you could consider pitching your services to companies directly. Good at communicating? Talk conversationally with English language learners through a service like Italki or Cambly. Tammi’s non-profit experience involved working with limited resources and constantly networking for the international AIDS projects she worked with. This gave her skills that came right in handy when she opened Wag Wagon. And the clients flowed in. Within two short years, Tammi had so much business that she stopped taking on new clients, unless one of her current clients vouched for them. She also revamped her services to ease her schedule a bit and enable her to focus on the work she loves the most. Her second career — which started as a cash gig — is a huge success. Of course, dog walking, graphic design and administrative tasks may not be your bag. No worries, there are so many directions you can go with this. If repairing your bathroom sink sounds like an easy morning task and you enjoy making lawns look beautiful, offer to help family members, neighbors or friends with odd jobs they either don’t have time to tackle or that are outside of their wheelhouse. You can price these by the hour or by the project, and once you settle on a fee, get started! Project ideas: rake leaves, clean gutters, lawncare, landscaping, paint house or rooms, plumbing tasks, finish carpentry, deep organization and decluttering, taking clients’ castaway clothes to the Salvation Army or thrift store… the list is endless! You’ll find somme great info on what it looks like to run a successful handywork business here. Everybody needs help with cleaning, whether it’s your sister-in-law who’s in school AND has a three-year-old or it’s your elderly neighbor. Separate from decluttering and home organization, cleaning houses requires little initial investment—just cleaning solutions, cloths, and maybe a broom and dustpan—and it can be incredibly flexible schedule-wise. Commercial cleaning is another idea which, if you can get your foot in the door at a business, can be lucrative and steady work. This is usually done after business hours; you might need to recruit a friend or family member to help given the quantity of tasks to complete. Hourly or project rates are determined by you and your client: try looking on a few websites for similar companies in your area, knock a few dollars off for your inexperience, and start reaching out to your network. Here’s a great piece on starting your own cleaning business. If you are a quick typist and have a strong grasp on spelling and grammar, you might be a good fit as a transcriptionist, for any number of industries. Even better if you have specialization in an industry that regularly uses transcriptionists, such as law or medicine. This is a position that lets you set your own hours and, as long as you have self-discipline and can complete the work satisfactorily, has no limit. Payment can range from by the hour for you to by the audio hour, which means you can pull in anywhere from $10 to $45 an hour. Here’s some information on becoming a transcriptionist. There are so many ways to earn quick cash. running errands for people through TaskRabbit. Take an hour and brainstorm some ideas — the more unique the better, since the market will be less flooded. As Tammi discovered, an unexpected layoff can become an unexpected gift, even if it doesn’t seem that way up front. Staying proactive and bringing money in the door won’t just help you make ends meet. It may spawn an entirely new career, or create a satisfying side hustle. And a side benefit? By taking charge today, you’ll feel powerful—and people who feel better about themselves tend to be stronger job candidates.